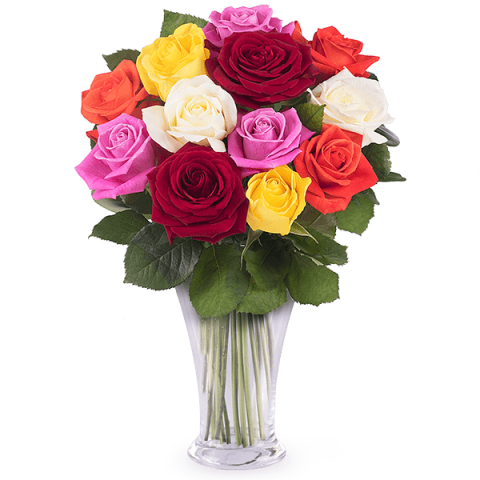 Share this harmonious mix of 12 vibrant mixed roses to surprise someone special. Of all our rose bouquets, this arrangement stands out thanks to a wealth of colour that instantly fills a room with brightness. A great way to send someone your thanks or congratulations. A bit expensive but on time! Thank you very much for amazing flowers! Very beautiful and serving quality!